Did a quick print-ad shoot for one of my sponsors, Phottix. The challenge here is to do a fashion shoot using only what you’d find in their studio kit. Showcase the kit, and shoot a setup of that kit. I basically did a shoot of a shoot, so to speak. It was my last shoot for the day (or night, depending on what you make of a “day”), and I thought of just taking this one easy. Alex, Phottix’s marketing manager helping out in the setup. 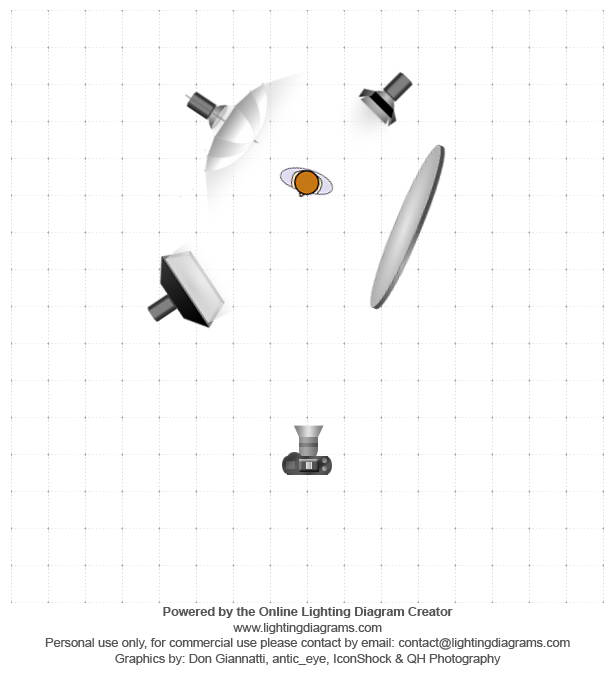 This is a basic 3-point setup I made using only the available strobes in the studio kit. The reflector is sold separately, also from Phottix. Yep, that’s me hand-holding my monitor rig. I wasn’t able to hold it for long though. Too heavy. Hahaha.